How to add a �Donate Now� button to your Facebook page June 1, 2016 by Laura Catanese 2 Comments Facebook has now made it possible to add a donate button at the top of your Facebook page, in the bottom right corner of your cover photo. 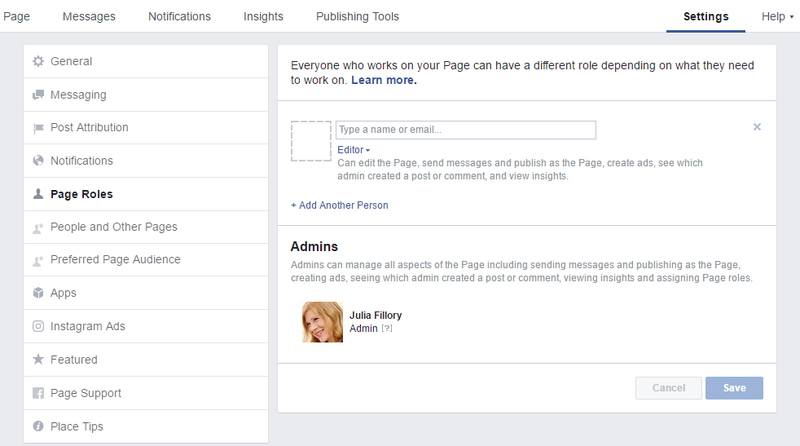 If you have other fake personal profiles that have FB Pages, then login and make the real you admin of those pages so when you login as the real you you�ll be able to access the admin menu of all of the pages you admin. But if you are talking about Facebook shutting down your Pages, that�s something I can�t help you with, you�ll need to contact Facebook support.